DJ Roc, DJ Earl, DJ Spinn, DJ-TJ, Symbiotic Sounds and more. Meanwhile, here I leave you some inspiration on this mixtape. 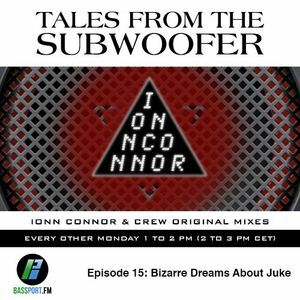 -- Venezuelan by birth and based in Madrid, Ionn is a DJ/Producer who enjoys experimenting with different musical styles, and every 2 weeks brings you one hour of the finest selected tunes on Bassport FM. Head of Basselina Club, Ionn has worked with local and international crews for the promotion of the Bass Music culture.